Boost Oxygen is the leading manufacturer of portable, light weight, 95% pure canned oxygen. It is all natural and available in pure form or with essential oil aromas– Menthol-Eucalyptus, Peppermint, and Pink Grapefruit. 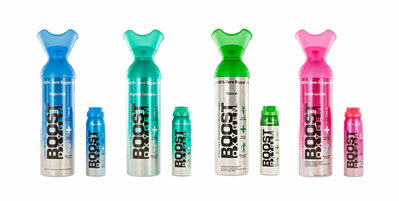 Founded in 2007, Boost Oxygen is currently the best selling and most trusted oxygen canister brand in the world. After success in the American marketplace, Deborah Hewitt and Kevin Harrison introduced Boost Oxygen to the UK in 2016. Initially used by people visiting high altitude locations and professional and amateur athletes, Boost Oxygen is set to become a lifestyle product for many of us. The use of oxygen is already part of the celebrity scene with such names as Madonna, Gwyneth Paltrow and Brits Simon Cowell, Mick Jagger and Kate Moss being linked to enjoying a head-clearing Oxygen boost. It is a natural solution to the negative effects of low oxygen levels such as low energy, a lack of concentration and exhaustion. A few deep breaths of Boost Oxygen helps you stay at your best! Air quality is a growing concern, linked to many health issues. 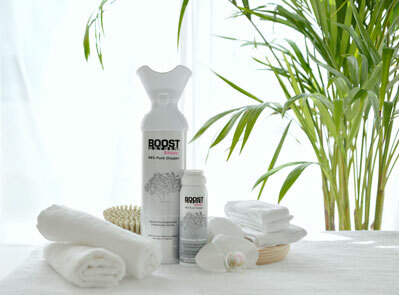 With Boost Oxygen you can take control and breathe deeply and safely. In October 2016, Boost Oxygen UK created and launched Boost Oxygen BEAUTY; a unique, luxury, beauty product, the first ever supplemental oxygen product for the Global Beauty Market. With 98% pure oxygen and a gorgeous essential oil aroma of pink grapefruit and frankincense, Boost Oxygen Beauty makes the perfect addition to a beauty regime. Studies show that cumulative daily exposure to air pollution causes wrinkles and premature ageing. Plus, stress, lack of sleep, and poor diet choices are all negatively affecting the way our skin looks by depleting our oxygen reserves. As we age oxygen levels in the skin decrease resulting in a loss of elasticity and the formation of fine lines and wrinkles. Oxygen therapy for anti-ageing has long been Hollywood's best kept secret with stars inhaling pure Oxygen to promote youthful skin. With Boost Oxygen BEAUTY, now you can too!